Daily Turismo: Market Watch: 1970-73 Mercedes-Benz W108 280 SE 4.5: Update on the Bull, the Bear and the BS! Market Watch: 1970-73 Mercedes-Benz W108 280 SE 4.5: Update on the Bull, the Bear and the BS! 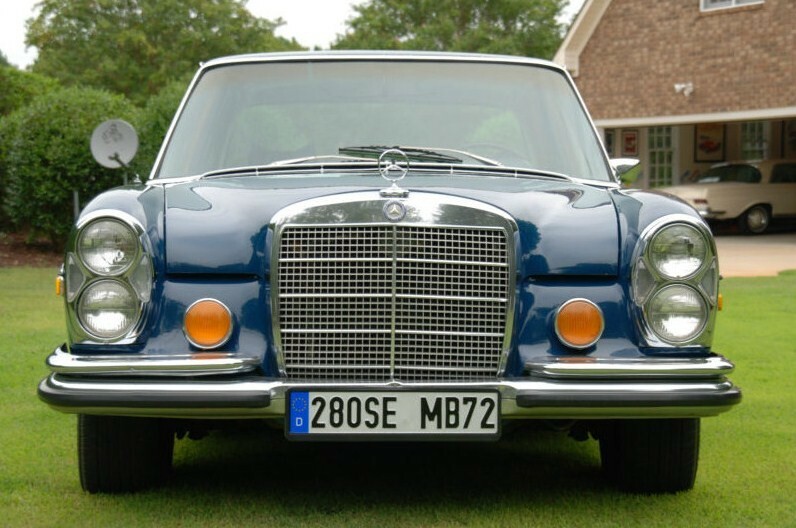 As mentioned in our post of a great looking 1971 W108 280 SEL 4.5 last week, ebay frequently serves only to confuse market watchers, rather than bringing any clarity to car prices. The reason for this is simple; auctions are put up by sellers who are fishing for unrealistically high prices, hoping to catch an overly emotional buyer. As their reserves are never met, the more prudent 'watchers' are left wondering what it would have taken to actually buy the car. In the case of the (1970-1973) W108 280 SE and SEL 4.5's, it appears that because these are great cars, their sellers have high expectations that these cars will sell in the upper reaches of Daily Turimo's range (at $12-15K) when, in reality the nice ones appear to be in the $6-7K range. While this makes them great candidates for DT daily drivers, many of their current owners may still be hoping to pull a rabbit out of someone else's hat. So, let’s try this again, but this time with the shorter wheelbase version 1972 W108 280 SE 4.5 which opened up on Ebay with bids of just $1,125 with a week left to run. This is DT, so you know there's a catch...Catch #1 of the day is ... This is at least the second time this car has been offered on ebay. I noticed this car awhile back, just before its auction closed at $6600 on Dec 16, 2012, which failed to meet its reserve. Let's first consider this car, then consider the actual market price for W108's with the 4.5 liter V8. The Blue/Blue color combination of the car above is certainly desirable and its overall condition appears to be outstanding. Mechanically, the 230HP 4.5 V8 was overhauled within the last 3,000 miles and a sellers include a lengthy list of recent maintenance items, which is too long to include here, but which should assure the purchaser of many miles of enjoyment before another round of major repairs. The interior of this car shows very well, with all of its bits in good shape. It also has the more desirable floor shift automatic. The sellers provided several interior shots, but most were taken too close to the subject, thereby requiring the prospective buyer to mentally stitch them together. The shot below shows the car was running at the time the picture was taken and that the wood trim appears in good order. Other shots indicate that the MB-Tex seats and carpets are in excellent shape. It's worth mentioning that by following the links in their ad, the seller apparently operates as a multi-faceted car servicing facility which includes a body shop, professional auto detailing and tire/wheel sales. The only reason this is mentioned here is that they may have bought this car in rough condition and have refurbished it for resale, or brought this car back from the dead (or near dead). Either way, they have pretty solid ebay feedback ratings which include the recent sale of a late model Corvette (they've been around the block, so to speak). When a car is offered by a "pro", I typically try to find another listing of the car. In this case I checked their website www.CarGuysofScottsdale, but was unable to determine what THEY think the car is worth. Now, let's talk market price: We've commented in the past that a seller's first auction usually brings the best price unless something with the car, the ad or the market has changed. In this case, the only things that have changed (including the ad itself) is the passage of 70+ days. Normally, I would expect this car to stay right around its previous $6600 high bid; however, based on the good showing of the $7,000 bid (which failed to clear the reserve) on the tan car shown last week, as well as some other MBs that have drawn interest on Ebay, this blue car may stretch to $7,200. If it closes at or near $7,200 I believe it SHOULD be sold. But, I'm not the seller. As this car is in the hands of an automotive related (profit motiviated) business, the real question is whether or not it can it be sold (at a profit) by the seller, especially if we assume the current seller is the one who invested in the engine overhaul. As the seller only had enough post-overhaul change leftover to invest in Hankook tires (not a brand normally chosen for this type of car) I suspect the seller is ready to make a deal. 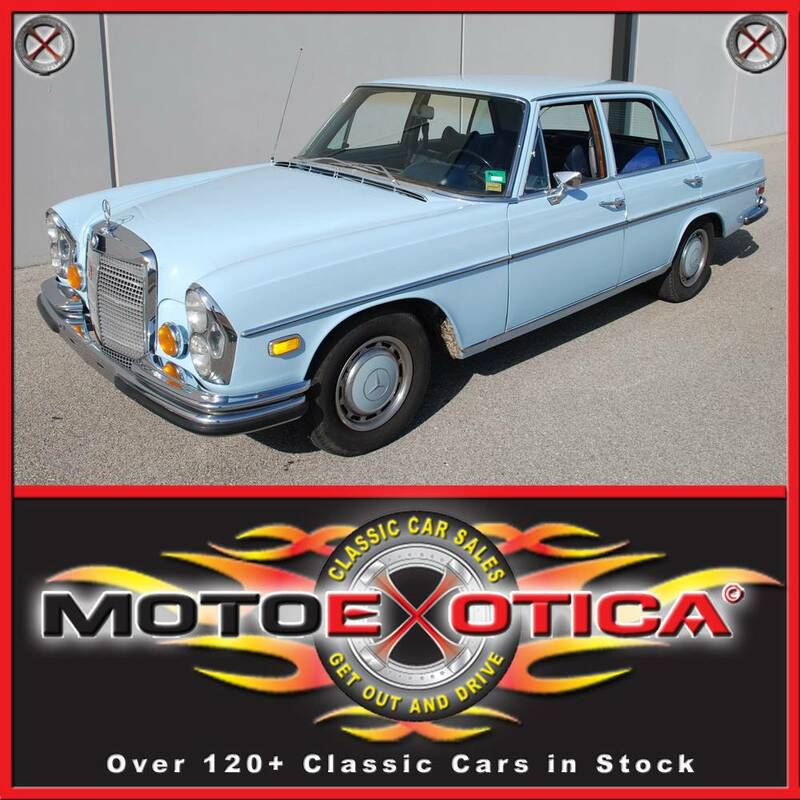 On Dec 9, 2012 MotoExotica closed an auction at $6,300 on the well kept 1972 280 SE, shown below. It wore its original (if somewhat less than masculine) baby blue exterior, had the less desirable column shift, but had extremely low (albeit uncertifiable) mileage of 67,000. This car was in very good overall condition, with a light patina of honest use. There was slight bubbling of the wood trim and an almost imperceptible dent in the front grille. This car could be considered the 'average' car. At the time it closed, it appeared that the reserve had been met but I haven't been able to find any ebay feedback related to this car. MotoExotica being deservedly proud of their cars and their ebay reputation, maintains a fairly inclusive list of their cars which are currently in inventory as well as sold units where I found a picture of the car in question. 280 SE vs 280 SEL- Purists will debate the merits of the shorter wheelbase and the limited production time of the SE as the car to own, just as the owners of say a '74 XJ6 Saloon contend that their car handles far better than the XJ6L. 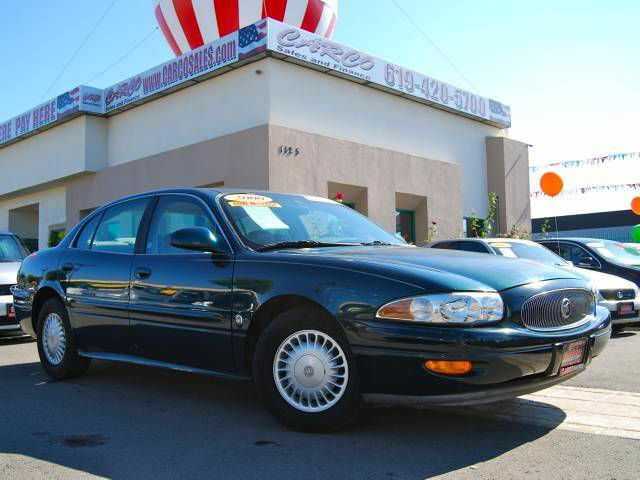 This is a debate that goes all the way back to the introduction of Buick's Century line, with one distinction. In the case of the Buicks (stop your yawning!) 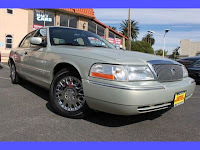 at least the Centurys used the shorter wheelbase of the Special Series and were blessed with the higher horsepower ratings of of the same sized engines found in the Roadmaster and Super. That's not the case with these cars...so, one could argue that a 1972 SE and SEL of comparable condition should bring the same price. 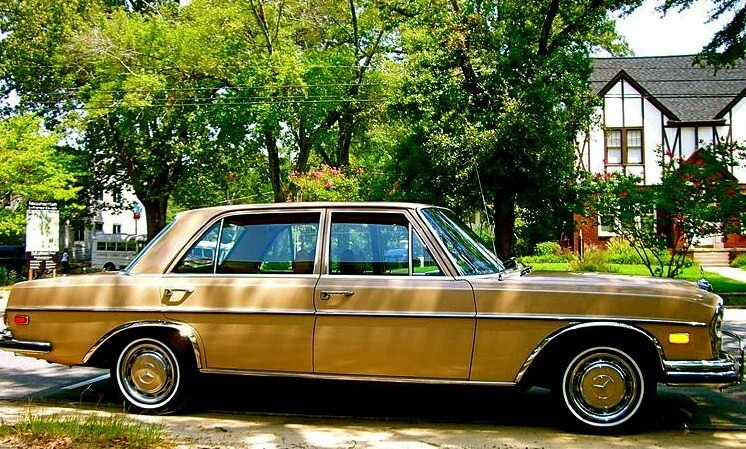 Less than two weeks ago, this 1972 280 SE 4.5 appeared as a classified on ebay for $6,400. In this case, the seller cleverly includes what appears to be a '62 220 SE Coupe looking quite lonely in the garage, without its stablemate. Even though the car above appears to be a near clone of the car currently up for bid, a quick check of the authentic license plate indicates that they are just distant cousins (In this case the cousin lives in sunny Greenville, South Carolina). This car has some issues that were disclosed as needing attention. There is some rot in the floorboard under the left rear passenger seat, the AC is inoperative and there are some paint cracks which are shown in the linked pictures. Given the market, I was initially a little surprised by this car's price of $6400 given the repairs waiting for the next owner; until... Catch of the Day # 2... the car suddenly re-appeared on ebay under a different item number and sold for $5,750. Given the minor rust repair needed in floorpan, which could be undertaken without any effect on exterior or interior appearance and considering that it's another high color car (albeit with some cracks in the paint) with the right equipment, the owner's acceptance of $5,750 makes me believe that both the seller and buyer received a good deal. So, what does it take to buy one of these cars? This quick (and admittedly limited) mini-survey of sold cars on ebay indicates that $6,500 - 7,500 ought to buy an absolutely beautiful one, but as pointed out at the top of this piece, the market (at least on ebay) is cluttered with examples like this admittedly gorgeous 1973 280 SEL 4.5 offered by just down the street from the car shown above. Another Greenville South Carolinian seller listed his car, along with a slew of receipts for over $25K. Catch # 3....there was but one, lone, opening bid, of $15K with no sale (wouldn't a first bidding buyer normally try to steal it with a $3,000 opening bid and wait to see if anyone else is out there? Nah, jump right in at $15K! Hmmmm.). The pictures of the above car were not that great, as this car is apparently the same tan color as the 280 SEL featured on DT last week. But, in an effort to sell the car's street cred, the seller included a shaky picture of the speedometer registering 90mph with 45psi oil pressure and a decent engine temp. He also wanted to let all buyers beware know that this isn't his only Mercedes and that he really doesn't need your hard earned cash! Bottom line, as we’ve always said at DT, we value depreciation above all else in newer exotics, causing them to drop into our clutches price range, but we are also fans of buying someone else’s hard fought restorations!! If there is no formal motto of DT, we'll coin it now....There is no better money spent on a car, than the last owner’s!! Ultimately, cars like this are not good candidates to buy in rough condition and attempt to restore to pristine… there’s just no market to support it (in almost any kind of car); unless, you are happen to be sitting on a mountain of used parts and can do all of the work yourself, and most importantly; you enjoy doing it. For these W108s, which we consider to be one of the great daily drivers of all time, buy them in the best condition you can find and afford, thereby limiting your investment to just maintaining them in good running order from that point forward. Jay Leno has been loosely quoted as preaching the same philosophy of buying cars in #1 condition and driving them down to a #3 or #4 so that the next guy can have some fun trying to rebuild it again. We couldn't agree more. In the case of the (1970-1973) W108 280 SE and SEL 4.5s it appears that for all the high expectations of many sellers who believe these cars will trip the upper reaches of DT's range at ($12-15K) , in reality they appear to be available in the $6-7K range for really nice ones, with a little more room above that, where the truly exceptional cars will stretch to $8k. As for today's Blue 280 SE at the top of the page, which is standing on the shoulders of the blue car above at $5,750, and last week's 280 SEL at $7,000 I'll stick with my earlier comment that I believe today's 280 SE could stretch to a high of $7,200 for a bidder who could inspect the car in person and drive it home; but, an out of state buyer, without benefit of pre-inspection and the burden of transportation will probably stay right in the $6,500 - 6,800 range. Which is right were the bidders valued it, the last time it was offered. 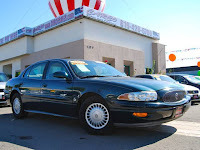 Whether you agree with my mini-analysis or not, we will certainly shake our heads in agreement that the current market, which places equal value on cars of the quality of these W108s and the likes of this nearly 100,000 mile 2004 Mercury Grand Marquis, or this 13 year old 2000 Buick LeSabre with just 44,000 miles, needs correction! But until that correction does happen.. grab a W108 with a 4.5 V8 for granny car money and enjoy!! Great summary of the W108 market and sketchy ebay sellers. I find the european license plates to be distracting and somewhat offensive when put on a road car in the USA. If you like Germany so much, go live there, eh? Quite a novel, but well thought out. 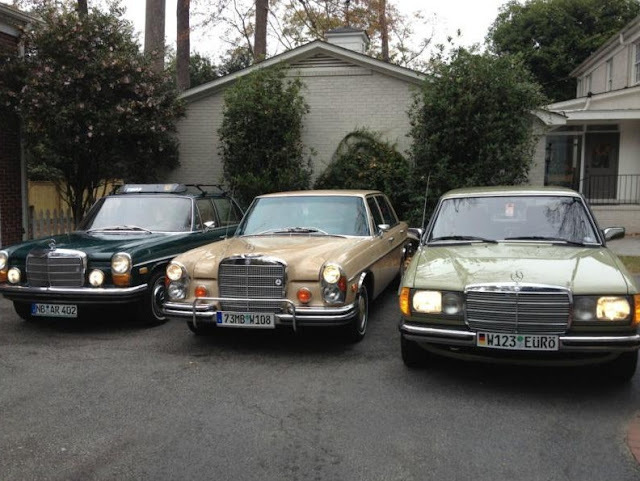 I will only add that the W111 fintail market seems to be similar in its low price/value ratio. The W111 cars look cooler with their fintails, but are much slower, less reliable and more horrible to drive. Personally I will stick to diesel if I want to drive slowly, at least they get good 'gas' mileage. Thanks for posting this. My wife's been shopping for one of these for over a year. Your range seems spot-on from what we've seen. We slept on a mint one that had been listed locally on Craigslist for months at $4500.00 with all new chrome (it probably sold for less) and have been kicking ourselves since. We see asking prices for cars that need work anywhere from 2K up to 7K, with an occasional, well-turned-out one for 13K or up. I laughed when I read your "rabbit out of someone else's hat" line because it sums up perfectly what our reaction is to some of the prices we've seen. Sometimes the market is as fascinating as the auto. Your theories and comments are well thought out and today anyway, with this subject, articulate. Read three times in a row. ~ great analysis. i've reread the article and comments as well. it has been a while since i looked seriously at a Mercedes which wasn't an SL, a coupe or cab, or at the top of the list, a wagon. but for any car this is a valuable buyer research model. ....There is no better money spent on a car, than the last owner’s!! "rabbit out of someone else's hat"
+1 Hunsbloger & you too, Cris. Very nice write-up, DT. Now on to the 280 SE/SEL. When new, these were about the best highway cruisers on the market. However, they are very maintenance intensive and an oil change at the local dealer would run you $500 back then. Of course, they did more than change the oil but that was the MB way of doing things. The problem now is that even a very nice example these days will get maybe 11 MPG on a good day with a tail wind and it will take that $4.30 high test with no ethanol. Here where I live, non ethanol gas is readily available but in many areas of the country it is not. The local MB club and the Porsche club are regular customers of the station that has non ethanol right up the road from me. David- Agreed on the mileage, I figured anyone looking for one already kind of knew the bad news that they get 20mpg the hard way. (10 mpg in town + 10 mpg on hwy = 20 MPG!!) Agreed on the ethanol... don't get me started with how that fuel should be less expensive than gasoline to boot!! Looks like I let my appreciation of the car (72 280 SE 4.5 at auction) cloud my thinking. The axiom of the first auction typically bringing the best price held again. While statistically it says a buyer should be able to own one cheaply, the seller still gets the final say by deciding whether or not to accept the market's verdict. After all, there are more markets than Ebay. Is ebay just the wrong selling venue for these cars, or is it representing fair market value? ~ i believe the axiom to be pretty accurate. as you earlier pointed out many other factors have some sway, but when i see an inflated buy-it-now i generally presume a strong chance we're watching a fishing expedition. then when the item soon appears again it doesn't mean the seller has come to his senses but that perhaps there is room for a skilled negotiator to make an offer which might at least be considered. negotiation may be the pre-eminent ability required in the car hobby.
. any chance the 'How to Buy' series will continue?? maybe just as important, a 'How to Sell' series would be priceless, both desperately needed. Hi, I just bought the second 4.5 sedan in my life and thought I would make some comments. This one is double black with floor shift, zero rust/accidents, and nice. I love these old 4.5's, 6.3's, etc. The 4.5 is great even if the value is not high. What is "high" about the 4.5? nice power and torque, classy, elegant, stately design thats oozing with character. Its all relative - my neighbor just got an 02 CL 500 coupe - only 18,500 - not even 70K on it. It listed for over 100K new. Another friend bought a yellow 360 modena Ferrari for under 100K - it sold new for just over 200K. - and its a Ferrari . When do you lose? If/when you sell it. 4.5's are awesome cars - they are collectable driver's, --- driver's - not queens that go to shows and get sold for obsurd amounts from one ego prick to another ego prick. Look at this way - look at what you pay for a nice one. Now look at the 6.3, the coupe, the cab. I would say you got a pretty good deal on a neat old school benz. PS: will you people please stop talking about the low mpg, we are talking about a 40 year old S class V8 sedan. Get real. Get one and enjoy the sound, feel, and that smell - don't forget that smell. Leather? wood? vinyl? mb tex, Yeah. Or you could sell everything you have, shave your head, dress in a robe and hand out plastic flowers at LAX. We are of like mind sir! Thanks for your comments, as they re-affirm why we are so bullish on these cars. Nice to hear it from someone who has gone through this same search process and is now driving with a very satisfied grin. Hope you'll stay tuned. As for your friends, they sound like they too share our Profound Appreciation Of Depreciation. Me again, I paid $8,000 for mine, worth it too, very happy. With several people referring back to this article today, I thought it was worth commenting that the blue 280 SE at the top of this story, was again put up for sale recently. This time by the owner, rather than by the detailing shop. Its final bid.. no surprises here..$6,600. Again supporting our axiom that unless something about the car or the market has changed between listings, the seller should not expect a significant change in the outcome of the bids...here's a link to last weeks's auction of this really nice car..
Feel free to leave your comments regarding your thoughts on the market and come back as frequently as you can! You have described a good information about W108. I am very impressed with your hard words. Your analysis is very helpful for me. great article...except for Leno's words of rich bore!